A New Addington nursery has celebrated this week with a reunion party after finishing a £25,000 refurbishment. 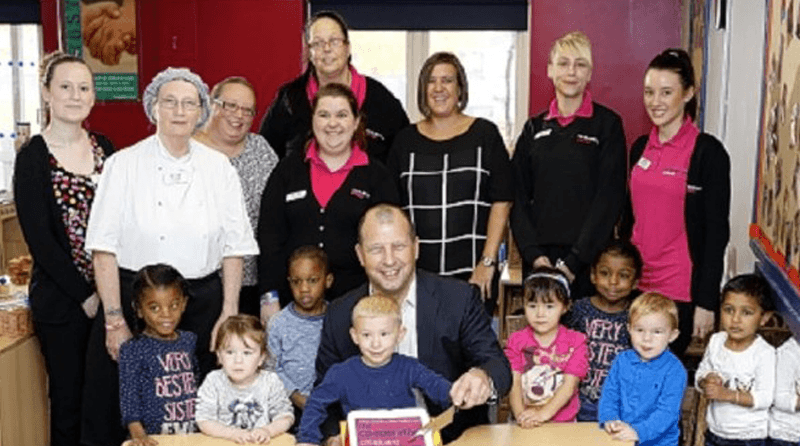 Children and parents, both past and present, were invited back to the Co-operative Childcare nursery after new facilities were installed to enable the nursery to cope with a rise in the number of new children. As well as adding another room, the refurbishment has also included the creation of new planting areas and the installation of playhouses and a mud kitchen to the existing garden. Nursery manager, Jan Bellenger, has stated that the new improvements to the nursery will help them provide the best possible start for children on their journey of education. She also said that the children were especially excited with the new growing area and were looking forward to harvesting their own broccoli and mustard this winter. The nursery, last rated ‘good’ by Ofsted, currently looks after children between 3 months and 5 years.